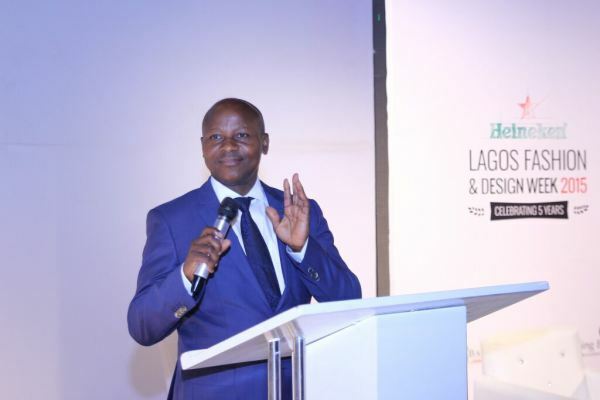 Managing Director of the Bank of Industry Nigeria, Mr. Rasheed Olaoluwa, has announced that the 1 Billion naira Fashion Fund is now open to men and women owned businesses. He made this pronouncement at the recently concluded 2015 Heineken Lagos Fashion & Design Week. Months ago, it had been announced that the Fashion Fund had been made available but was accessible to only female entrepreneurs because it was an initiative under the Gender Unit of the bank, and is targeted towards women-owned businesses. However, to the delight of many, Mr. Rasheed during his keynote address at Style House Files’ Fashion Business Series, revealed that the fashion fund had now been made open to both male and female owned businesses. Held during Lagos Fashion & Design Week, the fashion business series is a platform created to facilitate conversations with key players from the Nigerian and international fashion industry as a useful tool for exchanging ideas, networking and developing the fashion industry. Speaking on how fashion had become a key driver of the economy, the MD further announced that the Bank of Industry is currently developing a Fashion production hub in collaboration with the Nigerian Export Promotion Council (NEPC) that will operate from Lagos where designers can produce in mass quantities.